Beautiful white sandy beaches and shallow blue lagoons make Mauritius the most beautiful island of the Indian Ocean. Located about 2,000 kilometers from the southeast coast of Africa near Madagascar, Mauritius is the Paradise of Indian Ocean. Located at the southwest tip of the island is a stunning picturesque location. There appears to be an underwater waterfall within the ocean. The waterfall looks more prominent from the satellite view on Google maps. However, in reality there is no such waterfall. The scene is just an illusion. The sand from the shores is pulled by the ocean currents from the higher coastal shelf and down into the deeper one in the ocean located further. When the sand infused, water passes through the break and the illusion is created. The image looks like dead trees with branches. 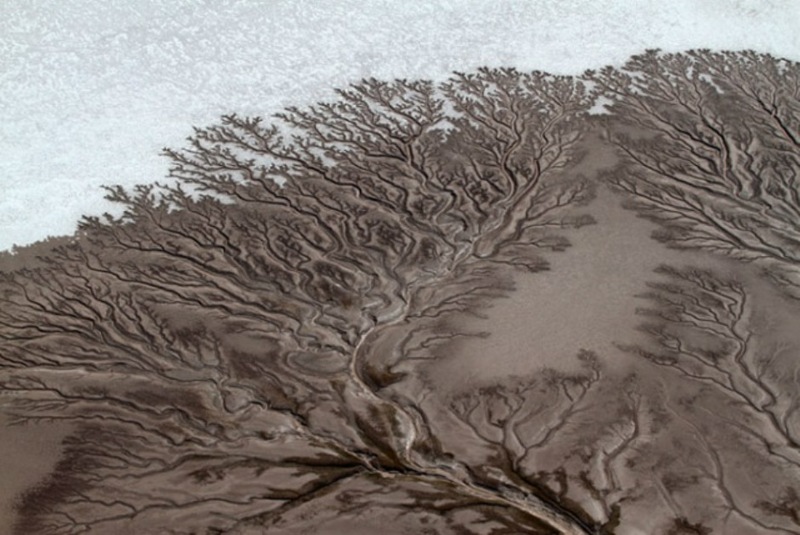 But in reality it is an aerial shot of the rivers flowing through the desert in Baja California, Mexico. When the mountaineer reaches the highest peak the Brocken of the Germany’s Harz Mountains, a ghostly figure appears out from the mist with a ring of light around its head. 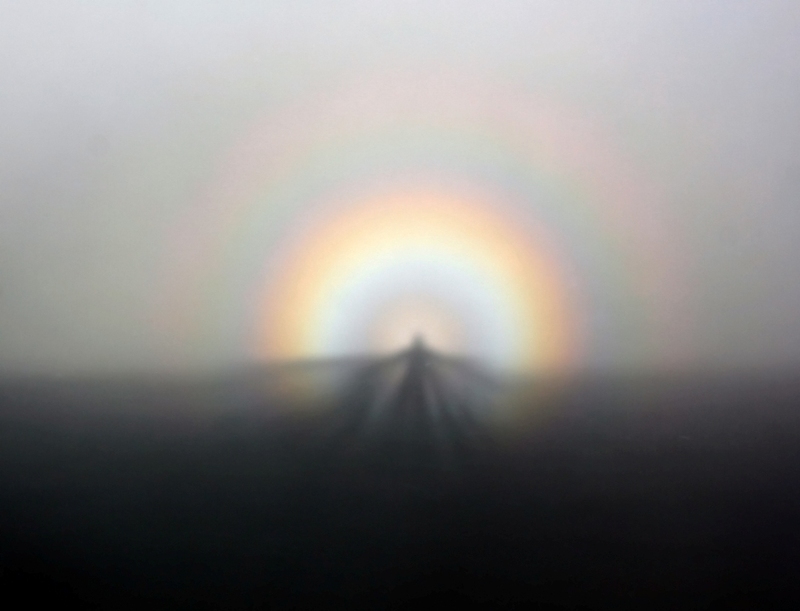 This Brocken Spectre or the ghostly figure is the magnified shadow of the observer. When the low sun is behind the observer who is facing the mist from the peak the shadow appears. The ring around the head or the rainbow colored fringes is caused by the diffraction of light. 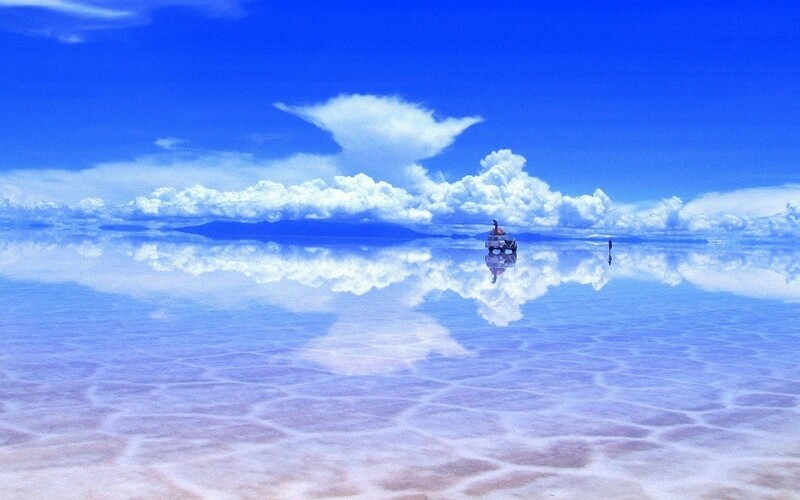 In Bolivia’s Uyuni it is impossible to find where the sky ends and the ground begins. The Salt Flats in the South American region are located near Bolivia’s Tunupa Volcano. In the region, a prehistoric lake dried up leaving a salty crust behind forming the Salt Flats of The Salar de Uyuni. When it rains the salty crust becomes a giant mirror.